Dysplastic nevi may develop into life threatening malignant melanoma. Dysplastic nevi are usually irregular in size, shape and color and border. They can be located on sun-exposed or sun-spared skin areas. 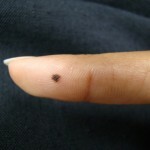 Dr. Kaminester will point out to his patients which moles appear harmless and which could cause future problems and even melanoma and death. That is one of the wonderful aspects of dermatology and why Dr. Kaminester loves to come to work in North Palm Beach every day. With just an educated viewing, he can usually tell if a patient needs further treatment for a growth or if he can reassure the patient that nothing further has to be done. When dysplastic nevi are seen in patients who have a personal or family history of melanoma, the chances are even greater that this mole can become malignant. That is why Dr. Kaminester always asks about a personal and family history of melanoma from every patient he sees. Dr. Kaminester believes strongly in patient education, and he and his staff will give you booklets and some articles he has written on these subjects of skin growths. 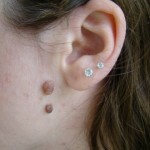 Most birthmarks are benign, but some may have a malignant potential, and some may indicate systemic disease. Café au lait spots are evenly tan flat spots on the trunk and may be in the armpit area also. They can indicate internal problems. Many skin changes can be associated with internal disease. Dr. Kaminester’s past training in internal medicine helps him be aware of such possible relationships, like losing the lateral third of your eyebrow being associated with thyroid disease. To be safe, moles exhibiting any of the following warning signs should be examined by Dr. Kaminester immediately. Depending on their depth, location and color, as well as the patient’s skin type, age and other factors, the treatment for benign but unattractive skin growths varies from simple surgery to use of electro-destruction or use of liquid nitrogen or curettage or radio-wave. Dr. Kaminester feels that with his experience and expert training, he can offer a wide variety of treatment options to give the patient the best results. 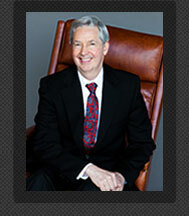 Many skin growths can be removed within seconds and with minimal pain or discomfort. Patients are often surprised at how easy such removals were, and they regretted not having had the surgery done sooner. Dr. K’sis motto is always to do the best for the patient and treat the patient like he would like to be treated and cared for!